Embrace a day experiencing new adventures carrying the Kate Spade New York® Rose Medium Top-Handle Basket. 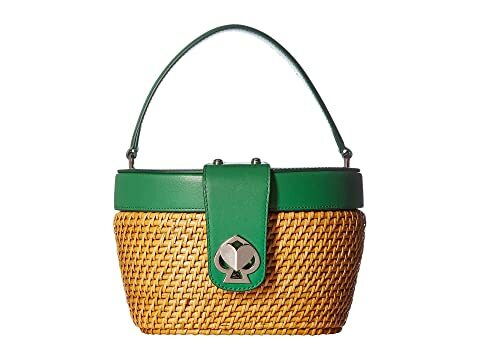 Bag made from strong, interwoven rattan material. Top leather fold-over flap with turn-lock heart hardware closure and signature spade logo hardware insert. Wrapped flat elbow carry strap. Lined interior features single slide storage pocket. We can't currently find any similar items for the Rose Medium Top-Handle Basket by Kate Spade New York. Sorry!